Defective drugs have side effects that place patients at risk of serious health complications. These dangerous side effects can harm or, in some cases, cause death without warning. Many patients and family members suffer great trauma and hardship due to defective drugs. Patients and doctors depend on representations made by pharmaceutical companies related to the safety of their drugs. In addition, the FDA refers to data provided by these companies to determine if a drug should be approved. Unfortunately, over the years many companies have failed to notify the FDA, physicians and, most importantly, consumers of serious defects in their drugs. When a company knowingly hides the dangerous side effects of a drug, it is liable for any harm it causes. Even FDA approval does not absolve a drug manufacturer of its responsibility to the consumer; nor does it void the company's liability in case of negligence. Failure on the part of a pharmaceutical manufacturer to properly inform consumers of any side effects or complications associated with one of its drugs is grounds for a lawsuit. If you believe you or a loved one has been harmed by a defective drug, a defective drug lawyer can help determine if you are entitled to compensation. Every year the side effects of defective drugs lead to many preventable injuries. Sometimes health complications arise immediately, while other times they appear long after a patient uses a drug. Drug side effects can range from relatively minor side effects such as headaches and nausea to severe health problems like diabetes, heart attacks and pulmonary embolisms. In some cases, defective drugs even lead to death. If you suspect that you or someone you know is a victim of a defective drug, a defective drug attorney can help you determine if you are eligible for compensation. When the Food and Drug Administration (FDA) determines that a drug has dangerous side effects, it issues a drug recall mandating that the defective drug be removed from the U.S. market. Accutane. Several lawsuits have been filed against Hoffmann-La Roche, manufacturer of acne drug Accutane, due to the possibility of suicide, birth defects and fetal death. Accutane has also been linked to inflammatory bowel disease and lupus. Actos. Actos is prescribed in combination with diet and exercise to help control blood sugar in patients with type 2 diabetes. The FDA has received reports of liver inflammation in some patients and has therefore advised people taking Actos to have their liver enzymes monitored. Advair. Advair, which is used to treat asthma and chronic obstructive pulmonary disease (COPD), may cause swelling, rash, hives and extreme asthmatic episodes. Avandia. In May 2007, a New England Journal of Medicine report states that the diabetes drug Avandia may pose risks to the heart. In response, the FDA has issued a health alert to consumers. Bextra. Like Vioxx and Celebrex, Bextra belongs to a class of anti-inflammatory drugs called COX-2 inhibitors. Bextra, which is used to treat osteoarthritis and rheumatoid arthritis, may be responsible for an increased risk of heart attack. Celebrex. The world's most prescribed drug for arthritis, Celebrex has been linked to an unsafe risk of heart attack and stroke. Pfizer's Celebrex was originally considered safer than Vioxx, its closest competing drug. Dostinex. Although not approved by the FDA for the treatment of Parkinson's disease, many doctors have prescribed Dostinex for this "off label" purpose  usually at higher doses than those typically prescribed for its approved use (to treat elevated levels of prolactin in the blood). Produced by Pfizer, Dostinex has been linked to Valvular heart disease at these higher doses. Duragesic Pain Patch. Duragesic is a strong narcotic pain killer that comes in the form of a pain patch. Duragesic can cause death if the instructions included with the patch are not followed carefully. In June 2005, the product label was updated to include new information, but not before Duragesic was linked to patient deaths. Ephedra. Ephedra is an alkaloid derived from leaves of Ephededra equisetina, a shrub native to China and other Asian countries. Ephedra was present in dietary and weight loss supplements linked to heart attacks, seizures, strokes and death. The FDA recalled Ephedra in December 2003. Fen-Phen. A "cocktail" consisting of a few drugs and prescribed to promote weight loss, Fen-Phen was recalled in 1997 after it was linked to heart valve defects, neuropsychological damage and a potentially fatal condition called primary pulmonary hypertension (PPH). Fosamax. Produced by Merck, Fosamax is prescribed for bone-related conditions. Studies suggest Fosamax increases the risk of osteonecrosis (ONJ), an infection and eventual rotting of the jawbone. Gadolinium. Gadolinium is a contrast dye that when injected intravenously, allows doctors to see abnormal tissues during magnetic resonance imaging (MRI) and magnetic resonance angiography (MRA) procedures. However, gadolinium has been linked to nephrogenic systemic fibrosis/nephrogenic fibrosing dermopathy (NSF/NFD), a disease that can lead to death in patients with kidney disorders. In May 2007, the FDA required the manufacturers of five gadolinium-based agents to include stronger warnings with their products. Ketek. Ketek is an antibiotic used for bacterial infections in adults. Manufactured by the French pharmaceutical company Sanofi-Aventis, Ketek was linked to potentially fatal liver damage in a report appearing in the January 2006 issue of Annals of Internal Medicine. Ortho Evra. Ortho Evra is a hormonal contraceptive that comes in the form of a skin patch. Ortho Evra releases progestin, a synthetic hormone, and estrogen into the bloodstream. In addition to several relatively minor side effects, Ortho Evra has also been linked to blood clots in legs and lungs, which can lead to heart attack or stroke. Paxil. Along with the companies that produce several other antidepressants, Paxil manufacturer SmithKline Beecham was required by the FDA to put a warning on its label about the risk of child suicide. Paxil may also increase the risk of birth defects if taken during pregnancy. Permax. Permax is a drug used to treat the symptoms of Parkinson's disease and Restless Leg Syndrome (RLS). Beginning in 2003, reports of heart valve problems began to surface. In 2007, Eli Lilly pulled Permax off the market. Redux. 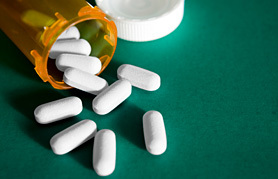 An obesity drug manufactured by Wyeth-Ayerst, Redux was recalled in 1997 after it was linked to primary pulmonary hypertension. Rezulin. This drug was "fast-tracked" rather than undergoing a full clinical trial. The maker of Rezulin, Warner-Lambert, failed to complete a subsequent study designed to determine whether the drug could cause heart problems. Several patients died while using Rezulin, and many successful lawsuits have been filed. Risperdal. Risperdal is a popular drug prescribed for schizophrenia. It has been linked to stroke and/or stroke-like events in elderly patients. Serevent. Produced by GlaxoSmithKline, Serevent is a very popular asthma treatment that comes in the form of an aerosol spray. Serevent works by opening the bronchial airways, which allows for easier breathing. However it has been known to cause severe asthmas attacks in some patients. Seroquel. A "second generation" antipsychotic drug used to treat schizophrenia; Seroquel works by blocking serotonin and dopamine neurotransmitter sites as well as histamine receptors. Seroquel may increase the risk of unwanted pregnancy. It also has other potential side effects, some of them fatal. Tequin. Tequin is an antibiotic often prescribed. Taking Tequin may increase a patient's risk of developing high blood sugar or low blood sugar. Trileptal. Used to treat partial seizures, Trileptal can lead to dangerously low levels of sodium in the blood. In rare cases, Trileptal can cause serious allergic reactions and multi-organ sensitivity. Vioxx. Vioxx was an extraordinarily popular drug belonging to a class of anti-inflammatories called COX-2 inhibitors. These drugs were favored because they were successful in treating conditions such as osteoarthritis without the side effects associated with other anti-inflammatories, such as stomach bleeding. In September 2004 Vioxx was taken off the market by its manufacturer, Merck, after it was linked to an increased risk of heart problems and stroke. Zelnorm. Zelnorm was a drug used for constipation and irritable bowel syndrome. Its manufacturer, Novartis AG, stopped distribution after a report linking it to cardiovascular risks, including heart attack. Zyprexa. Produced by Eli Lilly, Zyprexa is an antipsychotic drug that has come under scrutiny for side effects such as weight gain and diabetes. Before being released for distribution in the United States, all drugs undergo extensive clinical trials to assess their effectiveness and safety and to test for toxicity and side effects. The FDA oversees this process and must approve a drug before it can be sold. While defective drug-related injuries sometimes can be traced to other factors, often these injuries occur due to negligence on the part of the manufacturer. For example, inadequate testing of a drug may have prevented detection of serious side effects. Even when side effects do surface in people using the drug, the pharmaceutical company may be reluctant to pull it from the market, especially if it has attained blockbuster status and is a major source of revenue. Congress may also play a role. Public Citizen maintains that pharmaceutical company lobbyists have influenced members of Congress to write bills that restrict or undermine the FDA's effectiveness. A personal injury lawyer can help evaluate your situation and help protect your legal rights. The statute of limitations for filing suit against a drug manufacturer varies from state to state. If you have suffered adverse effects from a prescribed medication, you may be eligible for compensation. To determine your rights, contact a defective drug attorney.